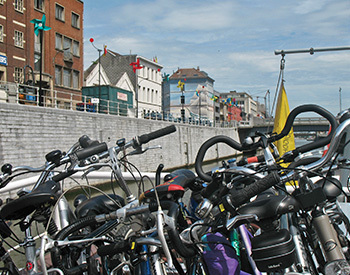 The canal, a safe axis for green tourism and transport by bike! Evening boat trip straight through the capitol, from Brussels to Anderlecht. Tuesday 16/07 - 27/08 - 3/09. Departure Brussels - Sainctelette / 6, av. du Port (19:00). Arrival Anderlecht - digue du Canal, CDS (20:00). Arrival Anderlecht - Veeweide (20:30). Ad. : 8 ¤ - child: 5 ¤ - child < 3y. : for free. Bike on board: FOR FREE. 2/08 - 9/08 - 16/08 - 23/08 - 13/09 - 20/09 - 27/09/2019. Departure Anderlecht - Veeweide (10:00). Arrival Halle - Suikerkaai (12:30). Ad. : 6 ¤ - child: 5 ¤ - child < 3y. : for free. Bike on board: FOR FREE. Boat trip from Anderlecht to Brussels. Return by bike. 19/08 - 26/08 - 2/09 - 09/09 - 16/09 - 21/09 - 30/09/2019. Departure Anderlecht - Veeweide (14:30). Arrival Brussels - Sainctelette (17:00). Ad. : 4 € - child: 3 € - child < 3y. : for free. Bike on board: FOR FREE. Boat trip through the green valley of the 'Senne' and return by bike. Navigation through the locks of Ittre and Lembeek. Ad..: 8 ¤ - child: €6 ¤ - child < 3y. : for free. Bike on board: FOR FREE. 5/08 - 12/08 - 19/08 - 26/08 - 2/09 - 9/09 - 16/09 - 21/09 - 30/09/2019. Ad..: 6 ¤ - child: € 5 ¤ - child < 3y. : for free. Bike on board: FOR FREE. The Waterbus navigates between Brussels and Vilvoorde. 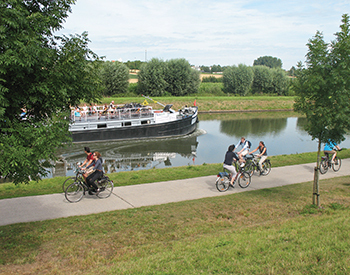 You can go biking along the Senne and the 'canal de la Senne' befor or after your boat trip. daily from 1/07 till 15/08/2019. Ad..: 6 € - child: € 3 € - child < 3y. : for free. 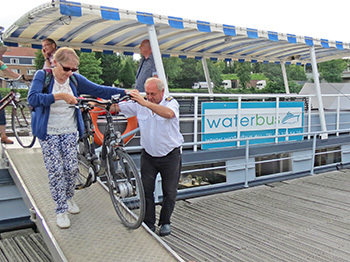 Bike on board: FOR FREE. 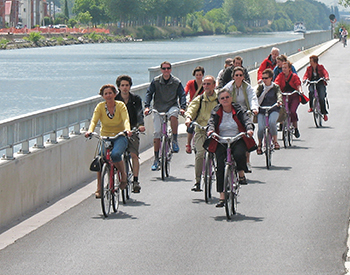 These programs are accomplished by Brussels by Water, Kanaaltochten Brabant and Circuits Brabant-Hainaut. Reservations and practical implementations are made by Rivertours.